Is Jack the Ripper at it again? Victorian London: Two sisters run a boarding house for Single Ladies. When a series of gruesome murders terrorizes their neighborhood, Loveday and Valeria appeal to the police for protection. But Scotland Yard is no help at all. And the bodies are piling up on their doorstep. So the sisters team up with a cheeky American actress to bring the killer to justice. From the writer of last season’s award-winning comedy, Bamboozled! 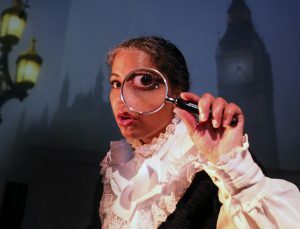 Katie Smalls (Chelsea Bearce), an ex-patriot American actress, is living in London. When 5 of her fellow actresses fall victim to the Battersea Butcher, she vows to find and dispatch the killer. 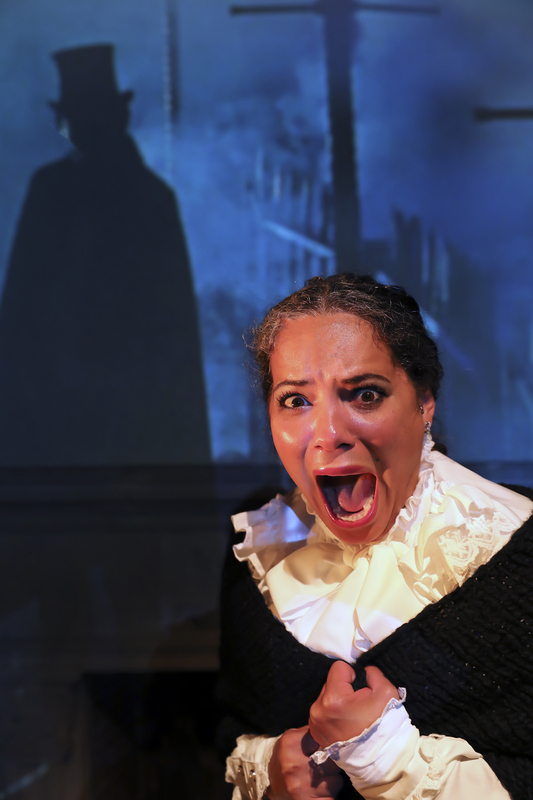 A series of gruesome murders of actresses in the Battersea neighborhood of London, has made American-born actress Katie Smalls (Chelsea Bearce) fearful that she may become the next victim, in Central Works’ production of The Victorian Ladies’ Detective Collective by Patricia Milton. Learn more about the inspirations for the play. Check out Patricia’s dramaturgical site!